Maxi Dresses are so my thing. I love the easy breezy vibe they give and they are just so perfect for summers. 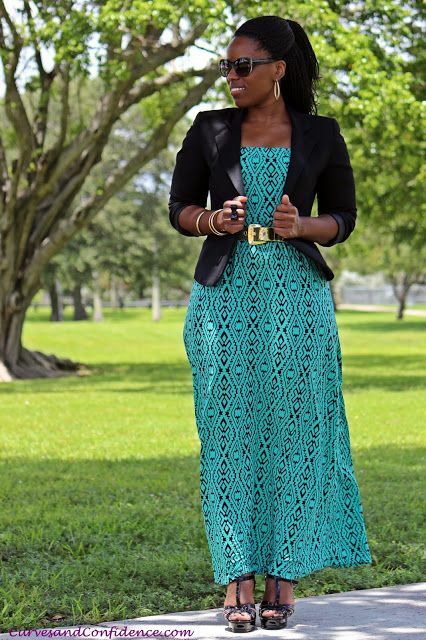 Maxi dresses are flattering on women with all body shapes and can be worn both in the day and night with a little tweaking. Thats not all these comfortable maxi dresses will suit women of all sizes and they can be worn all round the year too. The best way to wear a maxi dress in winter is to add an overcoat. If you are weatring a printed maxi then add a solid coloured coat . 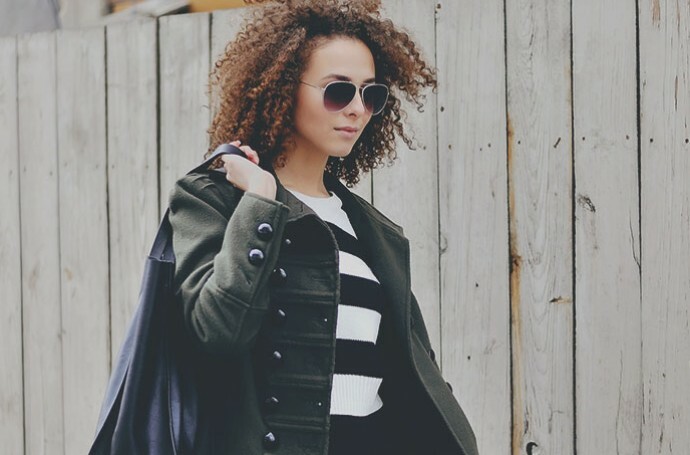 If you want a classic and elegant vibe to your look then add a trench coat . For summer you can layer with a solid coloured cotton shrug. Pairing your jean jacket with a maxi dress gives a very laid back relaxed vibe. Pair your faded denim jacket with a solid coloured maxi dress or even fun printed ones.  This style works best if you want to cover up your not so toned arms. For edgy young look you can knot the denim hem or fold up the sleeves a bit. if you have well tones arms then show them off with a sleeveless jean jacket. Turtle neck maxi dresses are quiet popular but you can actually pair your turtle neck sweater with your normal maxi dress for a edgy winter outfit. You can either wear your turtle neck above or below your maxi dress. The best way to add life to a plain maxi dress is to add a printed scarf . For a summer look pair your sleeveless solid coloured maxi with a colourful scarf. In winter scarf is a blessing and you can layer your maxi dress with a cardigan and a scarf. For a work place appropriate outfit you can pair your solid coloured maxi dress with a structured blazer. Seen the latest indian wear trend of pair extra long kurtas with palazzo pants? You can do the same with your maxi dress. Pair a maxi dress with a contrast coloured pants but make sure your maxi dress has a slit in the side or in the front for this styling to actually leave an impact. You can pair any kind of pants, leggings, jeggings or even palazzos. Experiment away. If you want to layer and add colour in summer this is the best option. Pair a light weight button down shirt with your maxi and dont forget to knot it at waist for a chic fun vibe. *Pick the right maxi dress for yourself keeping you body type in mind. 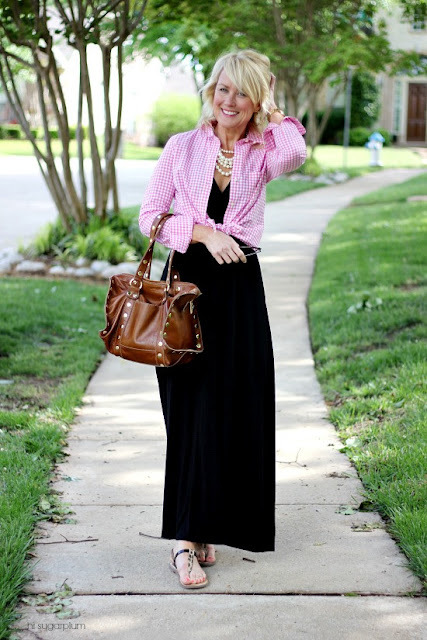 If are on the bulkier side go for breezy A-line maxi dresses. You all know I have recently delivered a baby and Maxi dresses are my new best friend . I used to wear breezy maxis during pregnancy and now I wear front open stylish maxis or maxi dresses with a deep neck because I breast feed. Which way would you style a maxi dress?